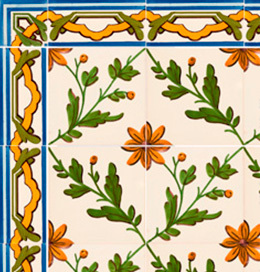 Characterized by the use of Hispano-Arabic techniques, with beautiful transparent glazes in polychromy. 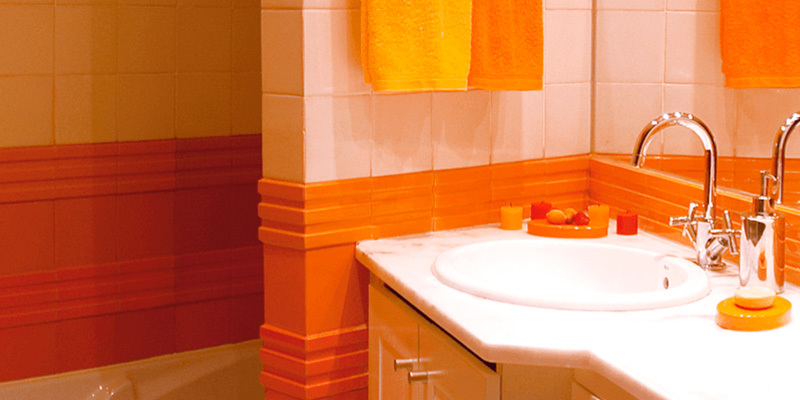 These tiles, often used as a complement to tile patterns, can also be applied in place of the standard pattern tiles. 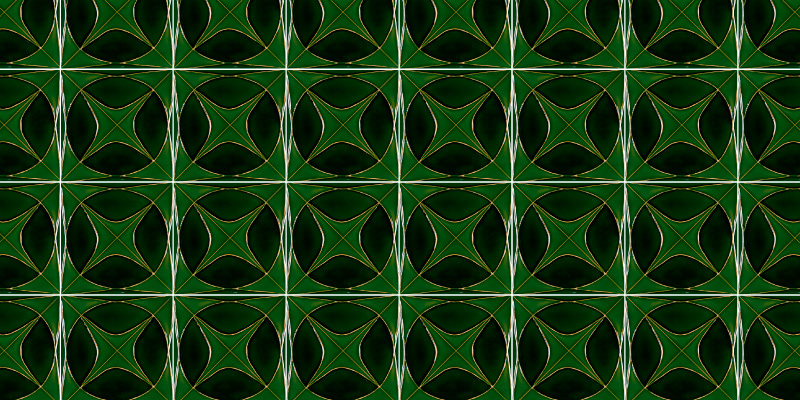 Extrusion, a traditional manufacturing process, allows the production of different shapes, exploiting specific effects (e.g. kinetic), which are not possible with other manufacturing techniques. This collection has been complemented over the years and mirrors the perfect combination of materials and production technique. 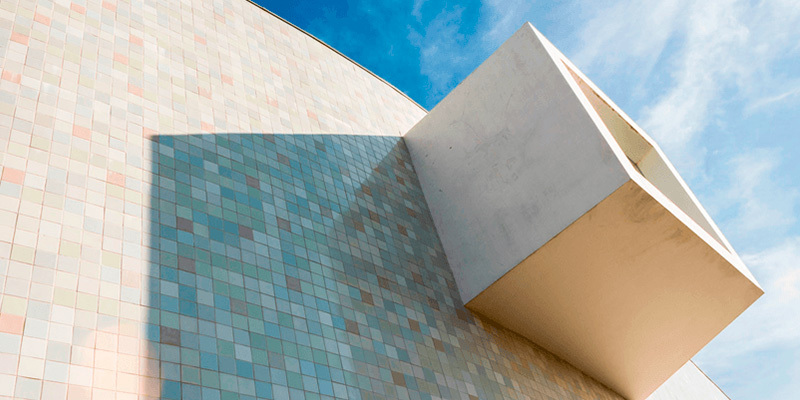 This collection makes use of the characteristic multiplicity of the tile, to allow the creation of custom panels, from the combination of preselected sets of 25 tiles each. Moçárabe Tiles (Hispano-Arabic) is an aesthetic movement brought to the Iberian Peninsula at the end of the 16th century. 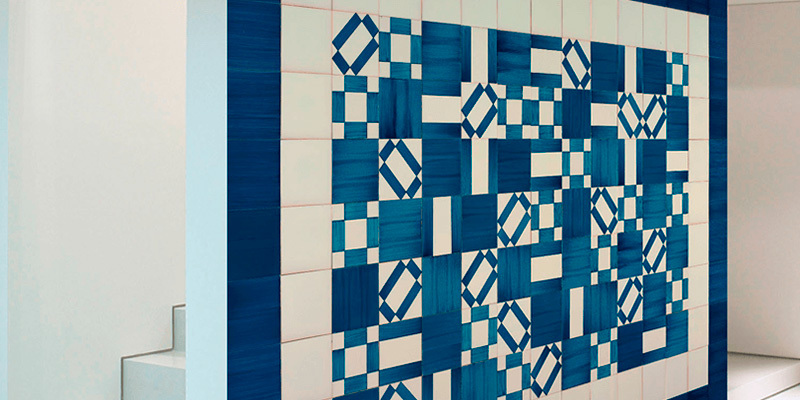 It features patterned tiles with motifs intertwined in geometric radial schemes. 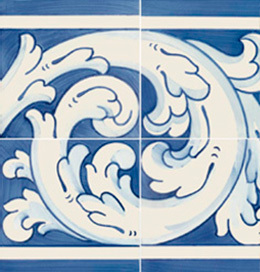 This collection complements the Viúva Lamego's Traditional Tile Collection with motifs of volutes, birds and flowers. 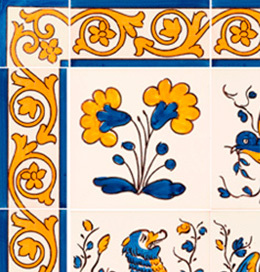 These panels depict old scenes and other motifs, intended for architectural usage. 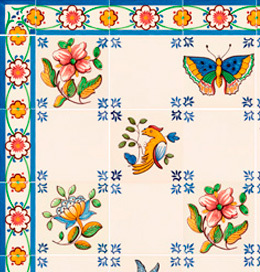 This collection is serene and fresh, with combinations of branches, garlands, ribbons, ties. This collection features banding and corners solutions to complement the use of patterns by simplifying shapes and complementing colour. 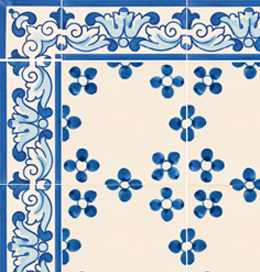 This collection complements the range of standard Viúva Lamego tiles. 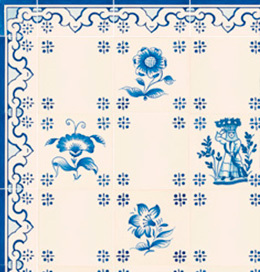 The tiles of the century. 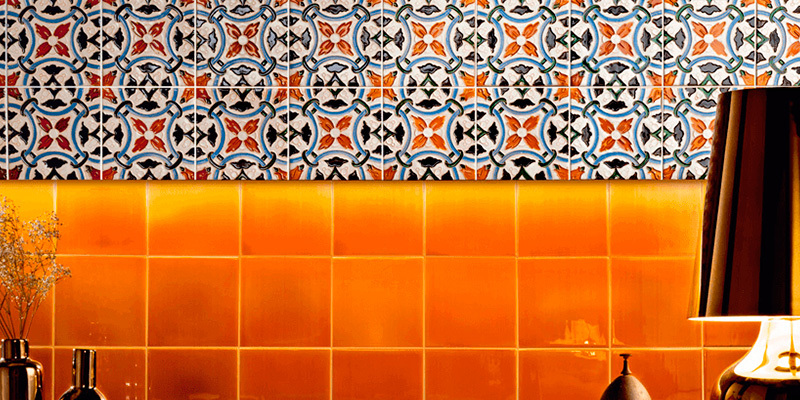 XVII often use a specific design in a piece, which pairs with others to form a larger image. 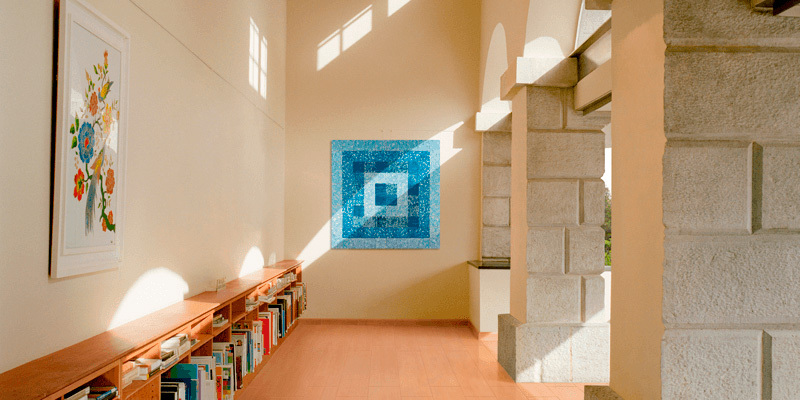 This collection refers to the post-earthquake reconstruction period, characterised by new patterns, some in polychromy. 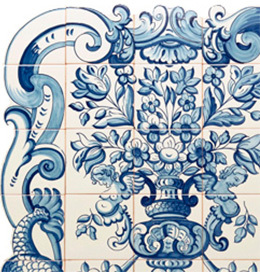 In addition to our regular product range, Viúva Lamego specializes in tailor-made projects. We create and develop new shapes, colours and materials.